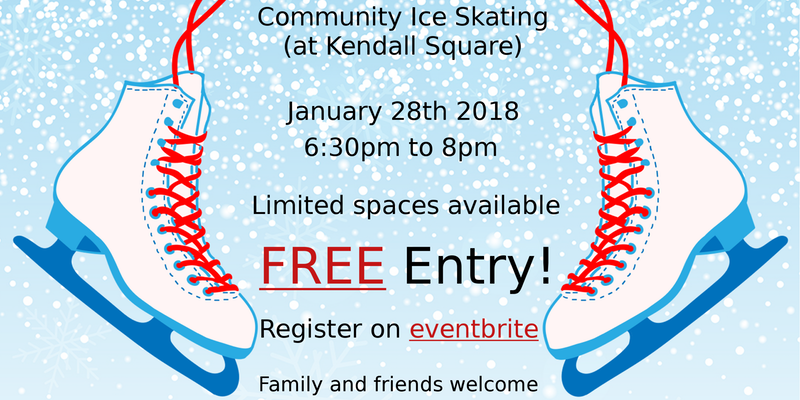 Come and shine with Boston PDA in this new year 2018 for a night of ice skating, hot chocolate and fun at Community Ice Skating @ Kendall! We’ll be ice skating from 6:30-8pm on Sunday January 28th. Significant others and families are welcome! Rink access is complimentary. Skate rentals are $8.50 per person, and you’re welcome to bring your own ice skates! This entry was posted in Events and tagged Boston, fun.